Join us for a very special Tiny Library Concert season finale, featuring Chris Daniels’ Better Days Project with Freddie Gowdy. 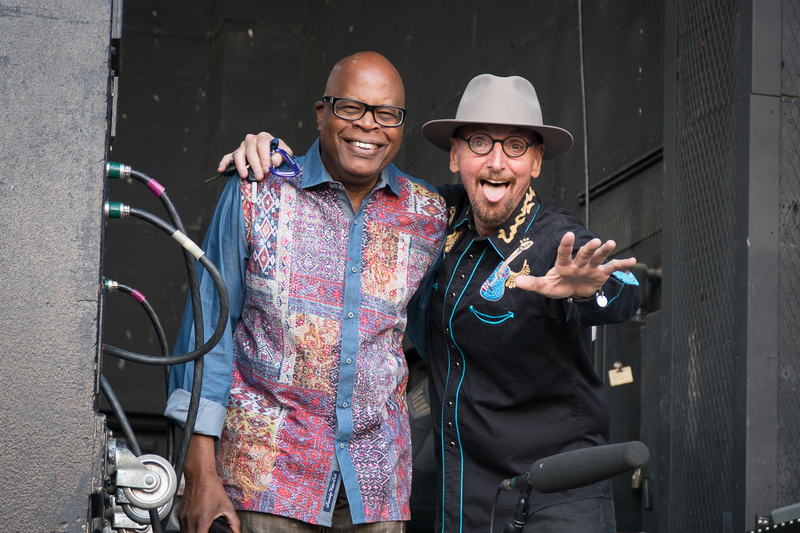 Rocking stages from Red Rocks to international festivals, these two members of the Kings bring a blend of funk and blues that inspires you to jump out of your skin and dance around in your bones. The two will represent the band in the intimate setting of History Colorado’s tiny library as Daniels strums the guitar and Gowdy lets out his soulful set of pipes. With a career that began in the 1970s, Daniels has been through spirit-testing trials after a diagnosis of cancer. He never let it get him down and used his struggles to release the album Better Days, dedicated to “those going through hard times.” Considered an icon of Colorado music and recognized as part of the state’s first jam band, he was inducted into the Colorado Music Hall of Fame in 2013. Now, he’s the organization’s director and a professor of arts and media at the University of Colorado, still finding time to tour and perform. History Colorado’s Tiny Library Concert Series is generously supported by Airshow Mastering and features Colorado musicians in the intimate space of the museum’s Hart Research Library. Cash bar.